Billy Goodwin is one of the founding members of NewSong and a key organizer for the 2013 Winter Jam tour, which will bring together some of Christian Music’s greatest artists for 40 plus shows in the first quarter of next year. Winter Jam 2013 will also feature TobyMac, Matthew West, Sidewalk Prophets, Jason Castro, Jamie Grace, Royal Tailor, Red, Capital Kings, OBB and speaker Nick Hall. The Global Dispatch’s Brandon Jones spoke to Goodwin about his career, NewSong, the upcoming Winter Jam Tour and some personal stuff on Friday. BRANDON B. JONES: Let me begin by thanking you for your time and what a pleasure it is to be speaking with you. Now, you were one of the founding members of NewSong back in the Reagan administration, so tell me what’s it’s like to be making music with these guys some 30 years later. BILLY GOODWIN: It’s really a joy. It doesn’t seem like it, it’s been 31 years. What motivates us is to share the truth in a way for people to understand…the message of Jesus and God blesses that. We keep writing about things that are happening in our lives. It’s real personal for us. 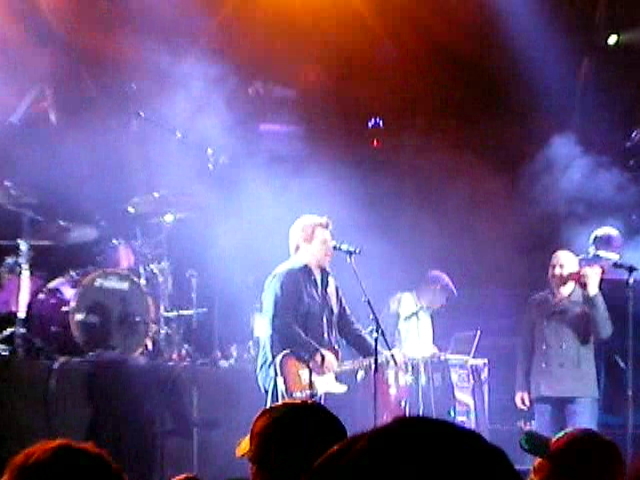 BBJ: NewSong was the key organizer of the Jam Tour back in the 90’s and now it’s like the Christian Lallapalooza. Tell us about the first leg of the tour, Winter Jam. GOODWIN: It starts at the first of the year and, I guess we say this every year, but we have the best lineup we’ve ever had. God blessed us as we pull the lineup together. TobyMac, who has toured with us 2-3 times and we love the fellowship with him….and his incredible music. We joke that it’s become a “traveling church” which blesses us with great fellowship. BBJ: I guess it’s got to be a relief to get to Florida during the winter. I’ll be seeing you in Tampa. GOODWIN: (laughs) Yeah, it is.We go to some really cold places. Tampa is about as far south as we come. BBJ: How do pull together the artists? Are you chasing them down or are they seeking you out? GOODWIN: First thing is to find a headliner. We ask if ‘We could have anyone’ and that’s the artist we look for and God always works that out. This is one of the major reasons the tour is so successful. It will be the largest tour in the first part of the year. Then we look at new groups, introduce them to the audience. They love to sing before thousands of people and we love to have them see how it (the music) ministers, how it’s like a mission for us. Then they can see how it truly ministers to us as well. BBJ: Nick Hall is the speaker on this tour, how did you get connected with Nick. I know about him from PULSE up in Minneapolis. GOODWIN: We put the word out, we are seeking a speaker. Nick is a young guy, endorsed by the Billy Graham association and he’s all about preaching Jesus. We met him, researched him and this guy is for real. He’s on fire. We worked with him on a mission trip with World Vision and he’s an amazing evangelist. He does so much with a little bit of time. He gives a 10-12 minute testimony, a very short time but it’s so powerful and amazing. BBJ: It’s Christmas time, so how do spend your time? GOODWIN: On the road. We’re on a Christmas Tour started back in 2001 with “Christmas Shoes,” which inspired a book, a movie and now it’s an annual thing for us. I’ll be home on December 17. Most of the tour we do, smaller venues, 2-3 artists and it’s much more intimate, sharing the spirit of Christmas. BBJ: NewSong has put out two Christmas albums…”Christmas Hope” and “Christmas Shoes” (I think) so what’s your favorite song and what’s the one you are most proud of? GOODWIN: That’s a hard one. “Arise My Love,” about resurrection, the rise of Jesus Christ, is a powerful anthem. It seems brand news and fresh every night. BBJ: The most recent album “One True God” featured one of my favorite songs “The Same God” and I wanted your thoughts how your music comes together. This song really echoes a “Keep it simple stupid” approach, letting God be God and I wanted to ask if you’d explain how the band pulls this together. GOODWIN: Sometimes you overwork something and finally, just release it to God. Say ‘I’ve done everything I can with this and I ask you Father, to touch it, anoint it – words, praise just starts to come in our hearts. It’s not a labor of love, just watch God do things. GOODWIN: Matt Butler was working on the song and the impact of what was happening with his little girl. She was born premature, in ICU fighting for her life for 40 days. Now she’s 3-3 1/2 years old. The song (“The Same God”) reflects that impact. The God that let you get in a situation is the same God who will get you out of that situation. Whatever God’s will is, we will live in it…find peace and understanding in the awesomeness of God. GOODWIN: Thank you and God Bless. 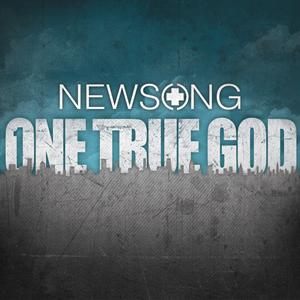 Get tour dates information as NewSong’s website here.